Why you should be thinking of winterizing the roof now! Although we have a few more weeks left of summer, it's already time to start thinking of preparing for winter. Because your roof is so important in keeping the elements out, we thought we would share a practical "Winterizing the roof" checklist. As you follow this checklist for winter, you will relax knowing your family and your property will be safe. 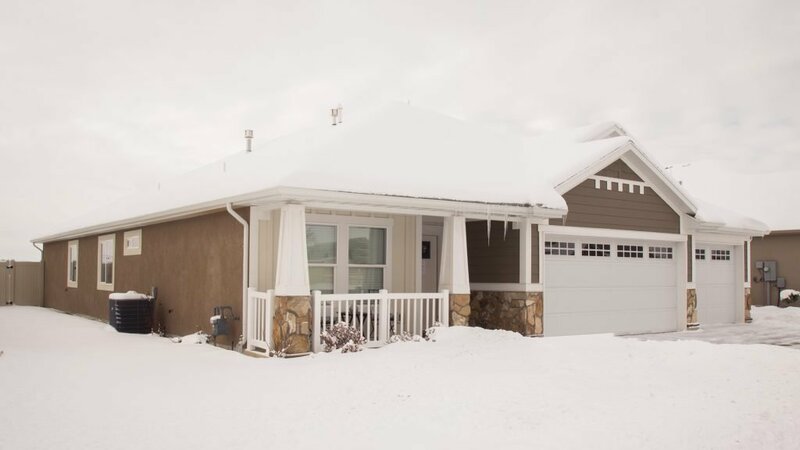 In the winter time, the most common cause of roof failures are ice dams. 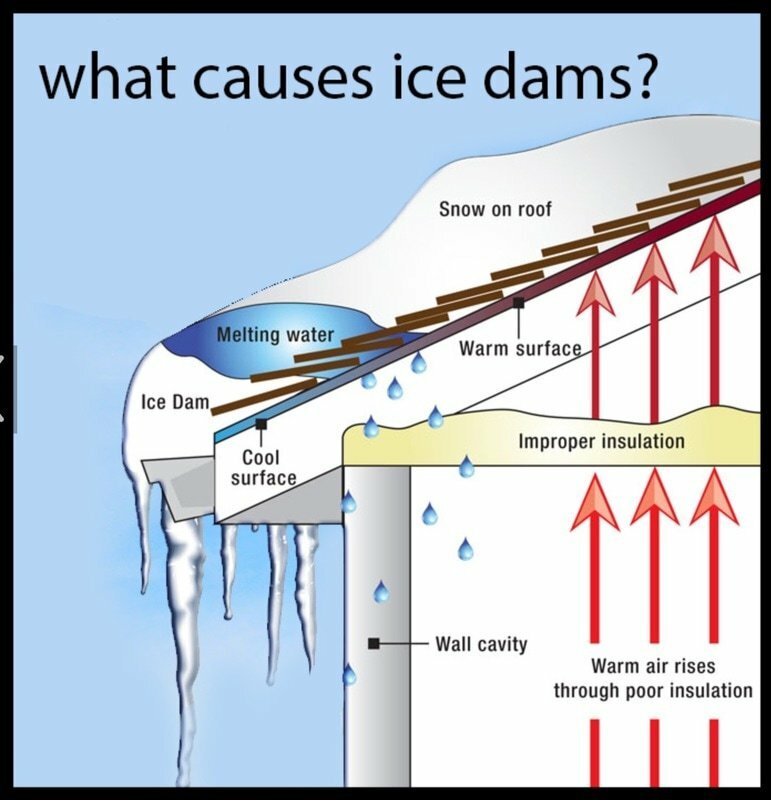 An ice dam is created as warm air escapes the home through the roof causing the snow to melt. As the water reaches the cool edge of the roof, it freezes again. Over time, this ice can build up and form what is called an ice dam. As an ice dam forms, it can cause the shingles to be lifted, exposing the wood below. As more snow melts, the water is held back by the ice dam causing it to leak through the exposed wood. Eventually the water will make it's way into the home causing extensive damage to interior ceilings and walls. Here are ways you can prevent ice dams from forming on your roof during the winter. A roof that needs repair will not keep the elements out of your house. Missing or lifted shingles can lead to water leaking into the attic and causing damage to the ceiling of your home. 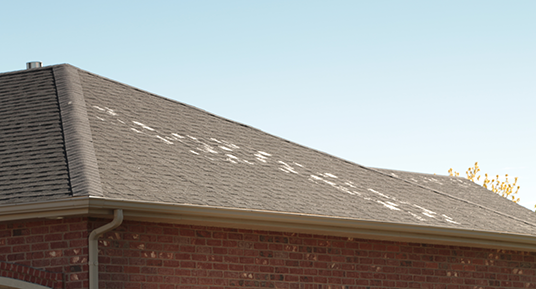 It is also important to inspect all flashing on the roof for cracks or sun rot. If you are not comfortable getting up on your roof, an American Prestige Roofing professional may come and inspect your roof for you. If we discover any problems, we can give you a roof repair estimate while we are there. The most important step of the "Winterizing the roof" checklist is to make sure all repairs are made before winter. In rare cases, a repair may require a new installation of a roof rather than a repair. It is important to give enough time for any repairs or installations to properly seal before winter comes. If you are needing a roof inspection before winter or you are needing roof repair or roof replacement before the coming winter, trust the roofing professionals at American Prestige Roofing. Call us at 801-603-4308 for an inspection or estimate today.